Xiaomi CEO teased that Mi Note 2 will "have a surprise"
Xiaomi, after unveiling the Mi 5s and Mi 5s Plus smartphones, may be gearing to launch another Mi-series smartphone, the Mi Note 2. Additionally, new details have emerged on multiple Xiaomi smartphones including the next flagship Mi 6, Mi 5c, and a mysterious new Xiaomi phone. There have been several leaks on the Mi Note 2 smartphone already making it to the Internet in recent weeks. If Xiaomi CEO Lei Jun is to be believed, the Mi Note 2 will "have a surprise." The news was first reported by a Chinese publication. Some of the purported specifications tipped for the Mi Note 2 include Qualcomm Snapdragon 835; 6GB of RAM; 128GB of inbuilt storage, and a 21-megapixel dual rear camera. 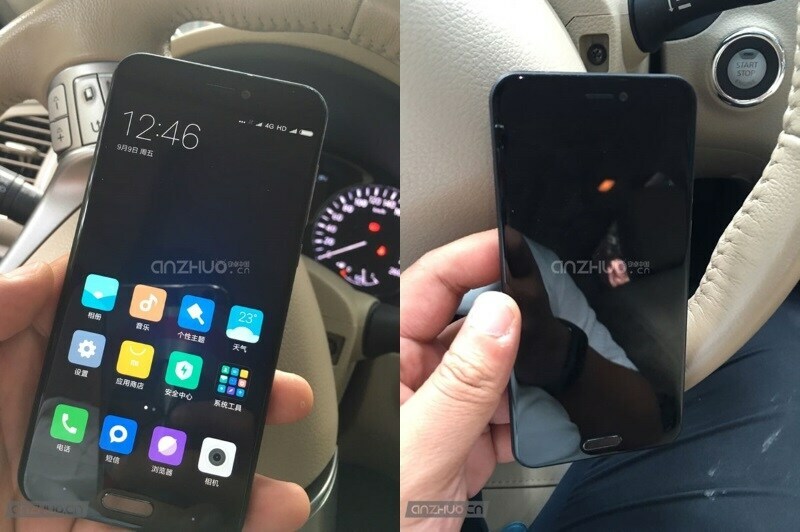 In other news, Xiaomi's alleged next flagship smartphone, the Mi 6, has been leaked in purported images claiming to show the phone ahead of any launch. The leaked images were first picked up by Priceraja and show the front as well as rear of the alleged Mi 6 smartphone. In the leaked images, the front seems to be inspired by the Mi 5 while the rear seems plain compared to the current flagship. The alleged Mi 6 was leaked in a Black colour variant. Another mysterious smartphone from Xiaomi has also hit the rumour mills and is claimed to sport an E-Ink notification display on the rear panel, which will be the highlight of the handset. Apart from the E-Ink display (via Weibo tipster KJuma), the handset is said to launch this year. Unfortunately, no other details are available on the mysterious Xiaomi phone as of now. Xiaomi is also rumoured to be working on a new Mi 5 variant dubbed Mi 5c. According to preliminary leaks, the alleged Mi 5c will feature a 5.5-inch display with 2.5D Corning Gorilla Glass and will be powered by an octa-core MediaTek processor. Running Android Marshmallow, the Mi 5c is said to support 4G with VoLTE while expected to be priced competitively when launched. Of course, as with all rumours and leaks, we advise readers to take the above information about the Xiaomi smartphones with a pinch of salt, as the Chinese company has yet to make any announcement about its new smartphones and the credibility of the sources cannot be independently verified.